Accesorize your drink with the Pelletsmoking.com Koozie. Pelletsmoking.com is a free online forum created by Big Poppa, spread your love for pellet smoking by adding some style to your drink. 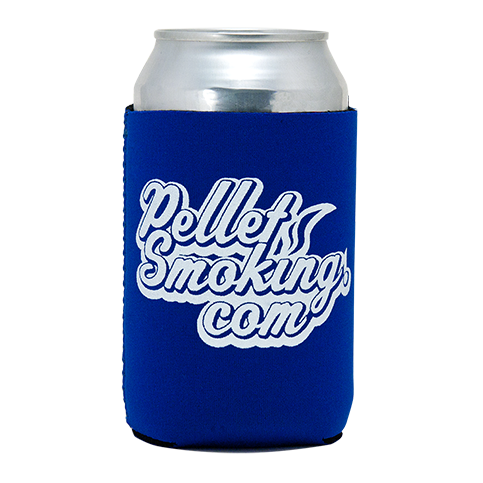 Keep your drinks ice cold on those hot grilling days with a Pelletsmoking.com BBQ Koozie. Tip: Want to spead the pellet smoking love even more? Get yourself a Pelletsmoking.com T-Shirt.